If that’s not the most common question we hear in veterinary medicine, it’s a close second. Sometimes it we’re asked when a cat with kidney disease reaching the end of quality of life. Other times we’re asked when the dog looks as though it has a mass in the belly that will require surgery to address. Please know this about the veterinarians at the Cuyahoga Falls Veterinary Clinic: We do not make recommendations for our patients that we wouldn’t pursue for our own animals. And this is a two-way street: We also don’t pursue treatment for our own animals that we don’t also make available to our clients and patients. Just last week my Boxer, Gretel, who had been struggling with intermittent lameness, came up three-legged lame. She wouldn’t touch her left hind paw to the ground when walking, instead opting to bounce around on just her right hind leg. I had an idea of what was wrong, and when we took some radiographs of her stifle (knee) joint, I had my answer: she had torn her cranial cruciate ligament (CCL). On the human side they call this the ACL. She needed surgery to provide stability, restore comfort and return to function. The surgical procedure is called a Tibial Tuberosity Advancement (TTA), and it is one that I’ve performed many, many times over the past five years. A torn CCL is not an uncommon injury among dogs, and I see a good number of these on a routine basis. When I diagnose a CCL in a patient, the conversation naturally moves to how to fix the problem and make the dog (sometimes cat!) better. A number of procedures can be performed to provide stability, but through experience with a number of the procedures I have become convinced that the TTA is the best of all worlds, providing the most ideal combination of healing, return to function and cost. I intend to treat my patients as I do my own, for that is how I can sleep best at night. 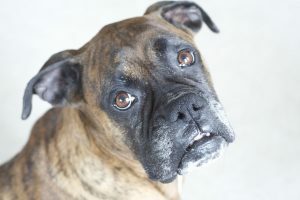 Know that when you are given recommendations or a treatment plan at the Cuyahoga Falls Veterinary Clinic, you’re receiving the best we have to offer. Comment on "What Would *YOU* Do?" Thank you for the generosity of your time for the consult. We feel better about the upcoming surgery after speaking with you.